The boss took half of the resumes we received today and threw them in the trash. He said, "I don't hire unlucky people." Here are ten job-search techniques that you should try to avoid if you want to improve your chances of getting hired. Do I hear shockwaves? Are people yelling "no, no, you must apply online!"? Well, this one came straight from the head of HR at a very reputable Fortune 500 corporation. When you apply online these days, you're competing against hundreds (and sometimes thousands) of other online submissions. And guess what? They all look the same. So how do you stand out as an amazing candidate in a sea of identical resumes, goals, and cover letters? The online option is just too much of a hit-or-miss way to go about it. If you really want the job, find out who the hiring manager is and drop them a line. A call or an email is a lot better than filling out an online form. Even better, write a letter and mail your resume. Make it professional and unique, and address it to the person who will make the hiring decision. Congratulations, you have just leap-frogged over the hundreds of cookie-cutter online submissions. It's sad but true. Many jobs that get published have already been circulating for a while. Employees within the company will be asked if they know anyone who's good for the position. Headhunters will be contacted. Word-of-mouth spreads the job. By the time you see the job in the classifieds and apply, candidates from far and wide have sent in their resumes, and you're already at a disadvantage. The job may simply be posted so that the company can be seen to be offering equal opportunities to everyone. So if you really want a job in a certain field or company, be proactive. Get to know the hiring managers or HR people. Do some cold calling. Ask around. You want to be fishing for the best jobs before they're announced to the masses. This was a tactic a friend of mine employed as we were finishing college, and it worked like a charm — not. The mass-mailers are usually fruitless and can waste a ton of your time and money. Not only that, it irritates hiring managers, and these resumes usually end up in the trash. There's nothing wrong with showing initiative, but don't start sending out junk mail. And blasting email boxes is just as bad, which is easy to do as it costs nothing. This one always puzzles me. "Well, it's really close to the New Year, no one will be around anyway. I'll start looking again in January." Arghh! If you're thinking that, guess what? Everyone is! And you have a prime opportunity to get your resume in front of someone when there's minimal competition. What's more, the holidays are a time of year when workloads slow down for many hiring managers, so they have more time to spend looking through resumes, not less. And as end of year budget proposals are due for the following year, planning for new hires is front of mind. The holidays are when job seekers should get busy, not idle. Another story I read recently involved a guy who found a security flaw at the hotel he was staying at. It wasn't malicious; it was by accident. He informed them of it and also let them know that if they needed an IT professional, he was unemployed and looking for work. He was soon employed for $150k a year. The moral of this story, whether it's true or "inspired," is that opportunities present themselves everywhere. You can't assume that the only jobs around are the ones that are out there right now. Your skills could be perfect for a company, and they may not even know they need you yet. Keep your eyes and ears open, be inventive, and jump on every half-chance. You never know where it may lead you. Here's another common error. "If I apply for 100 jobs, I'll get more interviews and that will mean more chances of getting hired." Well, not really. If you're firing off standard cover letters and resumes to every job that sounds remotely interesting, you'll fail to get noticed by any of the hiring managers. You're basically hoping that your resume gets pulled out of the hat and you get the call. You need to be smarter; be targeted. Pick out the jobs you really want and write cover letters and resumes that are tailor-made for those jobs. Do your homework. Find out everything you can about the role, and make an application that cannot be ignored. Now, you're not relying on chance any more. In this day and age, quality is far better than quantity. This is related to the previous tip, but is worth noting in its own right. When I got a job in advertising some 16 years ago, I wrote a different letter for every position I was going for. I learned about the company, what their successes had been, and how I could best fit within that structure. That was 16 years ago, when jobs were tough to come by. Now, they're even tougher. So do not ever rely on one standard resume and cover letter for every job you apply for. 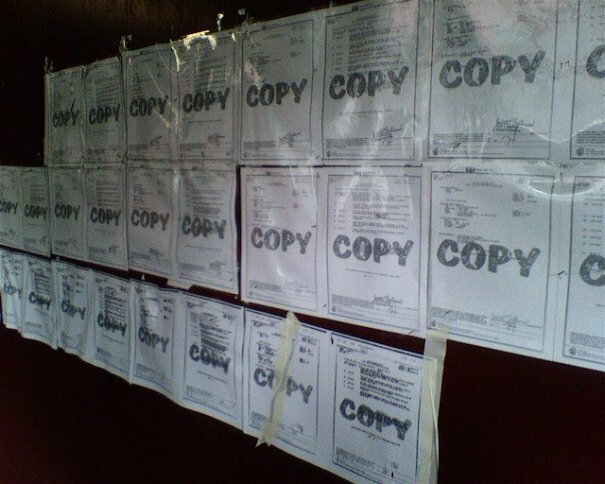 Job searching is hard work; some say it's a full-time job, so you cannot just run of 20 copies of each application and put them in 20 envelopes. Worse still, if you do apply online or via email, a simple copy and paste is just not good enough. Focus. Dig deep. Get to know the company, the hiring manager, and the challenges they face. It proves you're a step ahead and do nothing by halves. It's great to check a site like Monster.com or CareerBuilder.com every day. But don't pop online, see what's new, and then log off and grab 40 winks. It's outdated thinking to expect the ideal job will be in the one place you're looking. This is the age of digital networking, featuring Facebook, LinkedIn, Twitter, job forums, Google groups, and so much more. Dive into them all. The perfect job could be lurking inside any one of them. What? But it's all about you, right? Nope. It's all about the employer. They're like a first date, and they want to know how interested you are in them, not yourself. It may have worked well in the past, but that kind of "me, me, me" attitude does not sit well with employers these days. Let them know how you fit in with their organization. Show them why you would make a great addition to their team. Set your sights on making the employer feel like they're the only company you'd ever want to work for, because they're the perfect fit. When you focus on them, they focus on you. Remember the days when people were accountants at one company for 30 years and then got a gold watch at a retirement party? Those days are gone. And with the rapid and constant changes in technology, new careers are springing up all the time. There was a guy in my graduating class at college who was on his third career. He had trained as a sign painter, a job that was made redundant with cut vinyl lettering. He retrained as a typesetter, but desktop publishing left that career as more of a niche hobby. So, he went to college at 40 to get a graphic design degree. How many jobs are out there now that weren't around 10 years ago? Or even 5? Social media is booming. It employs many thousands of people. They had to come from somewhere, and no doubt many people switched career paths, recognizing the way their own set of skills dovetailed into this new enterprise. So while you shouldn't cast your net so wide as to be fruitless, consider fields that are related to yours in some way. These are the ten most common mistakes I see people making. Do you know any more, or are you an expert in the HR field with some advice to offer? Chime in. I agree with these tips. I've never agreed with the online application--even when it was more popular. Getting in contact with the hiring manager is a key. Not at my organization - which employs over 20,000 people. If you do not apply online, your application will not be considered. And go ahead and contact hiring managers with questions, but do not bug us with actual applications - we cannot accept them. It is illegal under the bylaws by which we run our organization, under various other laws by which we must abide, and under our union contracts. So it gets annoying to get pestered by people who won't read what is clearly stated in our job ads and on our HR website. Private and public sectors are very, very different. Unfortunately for job seekers, Rose is right. As a job seeker, I always taken the extra step to make a real connection with a hiring manager after I've already submitted an online application. More often than not, I'm either told that I shouldn't be trying to bypass the regular hiring channels or my outreach efforts are completely ignored. In very large organizations, the purpose of HR, online applications, and electronic filtering systems is so that the hiring managers are not "bothered". I keep hearing people say that online submissions are a waste of time, but both my sister and I got great jobs at (different) top companies through online applications. The difference may be that for both of us, our strategy was to completely customize every application, resume and cover letter after doing tons of research on the company. So, I wouldn't rule it out *if* the job is something that seems like a great fit *and* you're willing to really work to get the job. No offense but I am tired of reading articles on what I am doing wrong to find a job. Why don’t you write an article on the top 10 things an HR team does wrong in their hiring process. Do you know how frustrating it is trying to apply for jobs and help run a house hold? I will pick several jobs a day and say these are the jobs I want so I will apply for them. I will pick the first job and personalize my resume, and cover letter just to find out they also want me to fill out a 7 page application that is in a .pdf format. I have to print the application, fill it out, scan it, and e-mail it with my cover letter and resume just to get an automatic e-mail that says thank you for Appling and never hear anything from them again. I just now spent 2 – 3 hours between application cover letter and resume and I don’t even get an interview. Do HR departments think my time is not valuable? Let’s talk about calling the hiring manager. That is if you can find their phone number in the first place. Most of the Fortune 500 companies hide phone numbers to insure a 1000 applicants aren’t calling. I understand the concept and the consideration you think you should get, but every time I have called a hiring manager or HR person and actually got a chance to speak to them it has ended poorly. Most of the time there is silence after I have stated my name, asked if they got my resume and cover letter and an approximation when I could look forward to hearing from them. I usually get a “we will be in touch” and then an e-mail a half hour latter stating they found another candidate. I have had hiring managers even say “you got a hold of me so you probably expect me to put your resume on top?” This is followed by a “click BZZZZZZZZZZZZZZZ” sound. Another thing; were you serious about mailing out a resume? I have never met an HR person that actually looks at resumes that come after the job has been posted for two days. By this time they have received hundreds of resumes and do not want to read them all. Most of the HR people I have meet will take anything received after day two and throw it in a folder and file it away just incase they cannot find a candidate in the first 200 applicants. If you send a resume by mail the earliest you can get it to an employer is day two. You also failed to mention that if you have to relocate to be hired a company will not even consider you. No matter how much you would love to work for a particular company, and no matter how clear you state the fact you will pay out of pocket and not expect to be reimbursed they will not hire you. I have gone through two to three interviews with particular companies that I would have to relocate for and not got the job. Every single time I was told “we found a local candidate”. Some of these interviews have been on sight that I paid out of pocket to get to them. The truth of the matter is it is pure luck or the fact you knew someone that you get hired. I have been passed over for jobs where I know the person who got hired and they start calling me at home for advice on how to do the job. I have lost several friends that way. I am personally tired of employers and HR departments that can’t look past the data to see the person. You can see it in most companies that at least 50% of the people working there should not be in the position they are in, but yet companies still continue to hire the wrong person for the job and I continue to be unemployed. This is the best comment ever posted on the topic of job searching ...Hiring mangers are incompetent and they have the greed mentality- just like any other person in power. They are the real problem and I wish someone would admit it vs putting the blame on the the unemployed person in search of work. I've been in touch with 5-10 hiring managers, and they all did not hold up to their promise, canceled interviews without notice,lied and say you're qualified for a job & lead you on,always emailing you stating how busy they were, and I thought most jobs wanted employees who can multitask?I guess that doesn't apply to people in HR.People do away with applying to big firms unless you know the HR person personally, they DO NOT care about you and your skill set. Again, do not waste your time hunting down a number for someone in HR because they will never return your call. The only way I spoke to someone in HR is when the person in the company gave the HR person a heads up that I would be calling or sending an email, other than that, they would blow me over even with an inside referral. I've decided to play around on the internet until I get another referral , I will not waste time applying for a job that I will never get-you look like a FOOL. this is an EXCELLENT comment. im having the same experience. my husband has been unemployed for 19 months now and benefits are running out in two weeks. we went from making 180K to nothing, and have burned through all our savings in order to keep a roof over our head and our two little kiddos fed. its INFURIATING that employers are allowed to discriminate against the long term unemployed, and its INFURIATING that you cant get past the HR firewall to speak to a human being. the job search process has been made completely dehumanizing, insulting, and depressing. HR doesnt return calls, offer feedback and cant even be bothered to send a personal email thanking someone for submitting their resume, and that it was received. im so sorry to hear that our experience has been so universal. its just sinful the way my husband has been treated by the HR departments in some of the largest and wealthiest companies in the country. Yes. Thank you so much for brilliant summarization. I have absolutely the same experience. I've been unemployed since June 2011. After several months of pain and investing tremendous emotional energy (and time - the same with you - 7 pages appliaton) I came to the only way - I will try to overcome my bad mood and try to stay positive at least during the time I'm writing the answer (I use the on-line applications solely) and after ONE DAY I put it into "not accepted" in my mailbox. Then first, I am surprised they even call me :-), and second I concetrate fully on another applications. What I've found recently - is necessary to make yourself unique (well, not using red color for CV :-)). Earlier, I thought my application is good enough because I use words like "challenge" or whatsoever. But in fact, now I've started using words, which desribes me in reality - keen on inovations, creative, curious. No response yet but I stay positive because only now I have the feeling that this is me who answers. PS: One additional point, which makes me MAD - the same job, to which I failed, is published in 3-4 months again. But this at least shows there are people in the same .hit as I am. I agree 100%. In media you're expected to send in a demo. I can't count how many times I've asked "have you seen my demo?" only to be told "no". Wannabe's struggling with establishing a career generally don't get invited to be keynote speakers at trade conventions or asked to write op-ed columns for prestigious journals. I see all the time positions I really wish I could apply to. But when I see requirement such as at least a bachelors plus at least 15 years proven experience in a professional setting, five solid work related references and demonstrated knowledge of a litany of propriarty methodologies/protocols and geeky sounding acronyms you're written off as a rank, thick-skulled wannabe. The "job" I want most likely won't be found in a classified. Ideally, you don't even interview for it. That's how people in my occupation find work. The situation has to find you. You can plan and prepare and look as much as you want but its like looking for a ghost. Its being in the right place at the right time. Its getting involved with something your're good at and then someone else recognizes your worth, a call is made, your name gets around. Then you RESPOND TO OPPORTUNITY. NO OPPORTUNITY, NO JOB. I think a lot of these are good but I don't completely agree with #1. I work in HR for a mid-size nonprofit. We specifically ask candidates to apply online and prefer to work through our online hiring system. resumes that are mailed in are not necessarily ignored but it is seen as not following our directions which isn't a great first step. I'm not saying this is true at every company but I just feel that assuming a mailed in resume will automatically be received better isn't always the case. I work in the call center for a midsize pharma company, one of the few that are hiring and not laying off. We get tons of calls and emails for people who are trying to get around applying online. Generally the emails get these people to the bottom of the pile because they are considered as not being able to follow policy, which is crucial in this business. The callers are told time and time to apply online. Any unsolicited resumes are tossed into the trash. Even when I applied for a move I had to apply online as HR only looks at those prescreened by our outside provider since everyone is looking for work and they are too busy to view all the unqualified ones. A lot of these posts seem to miss the point about the resume tip. The point is to send your resume directly to the hiring manager, not to the HR department. If you get in the hands of the hiring manager, who says, "Wow, this person is a perfect fit!" you're halfway there. Even if the hiring manager looks at your resume and doesn't think there's a fit - at least he or she saw it. You've essentially hopped over the HR/Recruiting gatekeepers to the next step in the process. Pretty hard to get a real application in when 99% of the jobs in my field refuse to accept anything BUT online applications - and if they receive anything else, it is automatically binned. I disagree about the online application. If you sent me a fancy paper resume through the mail, I would think "(1) Why can't you read the directions? and (2) I hope you apply online, because I can't hire you unless you're in the system." I became unemployed around the holidays and decided to apply online to numerous companies via LinkedIn and jobstreet. I found out that companies are looking for you online if your profile matches their preferences. You just have to be confident in yourself and let people know that you're good at what you do. Great points mentioned there Paul, when one is looking for a job, he/she shall not rely on one technique to get a job. Applying is just the first part, it's important that you follow up on your resume as well. Take your decisions wisely. There's some great advice in here. Only thing I would add is that a lot of times the online application is unavoidable. Now, that doesn't mean you should start there, or use that as your only angle, but eventually big companies will have you fill out an application so they can get you in the HR system. I'm totally behind the idea of using back channels or personal network - anything to stand out from the crowd. Eventually though, you'll have to apply online so be sure you're keeping track of what's due and when. Great post. It's a very good idea to get involved in social media when job hunting. It's the way forward! Solid advice to securing a job in this new era of a marketplace that calls for change. As a former career counselor, these recommendations are well suited to the digital age of job searching. I would also recommend a time tested technique called "informational interviewing." Speak with individuals working in your field for quick 10-15 minute meetings to gather information about the field, trends , and advice. Most people are happy to help someone out and if you present yourself well and stay in touch, they may at a later date lead to a job. In the meantime you are becoming more knowledgeable about the field. I absolutely do not agree with not applying online if that is what the company requests. I work for a mid-size company and I handle the HR (among other duties). If I receive a resume that does not include what I request in the ad (job history, cover letter), I automatically recycle that resume, because the applicant obviously can not comply with a specific request. In my field, employees must be detail oriented and follow directions well. If they are unable to do that from the initial contact, they will not be a good fit for the company's needs. Some companies require you to apply online so you're "in the system". You don't have a choice. So your only options are to 1) customize your resume for that particular position, and 2) write a cover letter that show how you match the requirements of the position with your experience and skills. That's nice. In this article you guys say NOT to apply online, but in a referenced article on this same site from December 2010 (supposedly written by a hiring manager that has hired over 500 people) you say exactly the opposite (http://www.wisebread.com/8-job-getting-tips-from-a-guy-whos-hired-500-pe...). So...do you know what you are doing or are you just writing every possible answer to boost page hits? Thanks for your comment. Wise Bread is a community of writers centered around frugal living and personal finance. Within that, though, our writers sometimes have differing opinions about how to best do things, or they even talk to experts who have differing opinions about the best way to reach a goal. Another tip - look inside your current company. Internal hires usually have a leg up on the competition, and this can be a good way to revitalize your career and keep your benefits and seniority. Just remember to stay professional in the interview, even if your are familiar with the hiring manager. I just finished an article on 7 ways to mess up an internal application. Actually, while all of these may be reasonable in the private sector, I would STRONGLY disagree with #1, #2, and #5 for organizations like mine - a huge publicly funded college system. Re #1 - do NOT call or email the hiring manager or send your resume directly to her if the ad says that you must apply online. I am the hiring manager for a tenure track position in a very specialized field, and I can tell you right now, I do not appreciate getting dozens of calls and emails or direct resume submissions when the ad clearly states that applicants must apply using our online system or their applications cannot be considered. No, I can't go retype your resume and put it in the system for you, as at least a few lazy people have asked. And all that trying to apply directly to me does is a) annoy me, and b) convince me that you cannot follow directions. I don't mind people contacting me to ask questions about the job, or the application process, or related issues. I'm very willing to do that. But do NOT try to apply through the hiring manager in a unionized, public college system if the ad says to do otherwise. Usually, there are regulations that prohibit us from even considering direct applications. Re #2 - I completely disagree here as well, for my type of environment. Academic jobs take a year, at least, to fill. The search is a long, detailed process. And often, the postings have a long application period. The job posting we have now was posted in late September, and we stated that we would only begin reviewing applications as of December 15. And that's the absolute truth - I won't even get the applications from HR until December 16. What we say in the ad, we must abide by. Also, we absolutely cannot, by our bylaws and union contracts, consider people who have not submitted a complete application through our online system. We also must post all jobs, except for a very few socialized administrative positions that come up rarely, when someone is specifically asked by our Chancellor or an academic VP to undertake a special initiative. So please, do not send unsolicited resumes asking about hidden or unadvertised jobs - there aren't any. In many, if not most, public colleges, this is the case - jobs must be advertised, and all you will do if you flood people with unsolicited resumes is annoy busy people. If you're unsure, call the HR department. Re #5, as I've said, if there is no posting, at a large public college, there is indeed no job. Again, call HR. So, if you don't want to risk seriously annoying busy people, call and check with HR before you go ahead and follow such tips. I don't want to sound like a grouch, but I am truly frustrated by the number of applications I get from people who completely ignore what the ad states you MUST do (apply online), what our HR site says (that all jobs are posted and that hiring managers cannot accept applications directly), and the qualifications that we say you absolutely MUST have (our ad states 2 specific degree requirements, and states that we cannot consider you without these, yet at least half the applicants seem to think we're kidding, and they apply when they are missing at least 1 of the required degrees. Yes, you can apply for most jobs if you are missing, or don't have a perfect match for, some portions of the requirements. But degrees are another matter, especially in academe. If the ad says we cannot consider you without the degree, under our bylaws and union regulations among other things, then do NOT waste my time by applying if you don't have the degrees.) Cultures vary, and I think this one-size-fits-all advice could do a disservice to many potential applicants. You may not appreciate it but at the end of the day, companies like yours that impose unproductive online systems onto the labor force have created that system. So stop complaining Im sick of listening to it. I also don't fully agree with point number 1 (depends on the size of the company). However, a nod to all of the other bullets. I have two friends that work for very large corporations in the Silicon Valley. Both are hiring managers. I had this conversation with them before and they both told me that they will not look at resumes/applications that were sent directly to them without an introduction. Introduction meaning an internal / external referral. If they received a random application/resume directed to them, it goes to the bottom of the pile below the internet applications that can be filtered using keyword searches. Don't kill the messenger, but I doubt they were lying to me.